The technology is Fuse a highly volatile substance that uses subatomic resonance to merge with other chemicals. This material was later harnessed to create prototype weapons used by the overstrike team. Your objective is to stop a global arms race from getting out of control. Fuse is a four person multiplayer which requires teamwork in order to survive. Each player has a special weapon comparable to weapons class that he or she will need to master. The weapons are one of the better parts of the game because you can connect different combinations that have some devastating effects. The LEAP feature in this game will allow you to switch up your class weapons in game as you need. We will see a few familiar things from the past like the return of heavy class enemies and a crushing wave of enemy combat units over-running your position. Insomniac worked hard at getting the balance right between giving players a difficult experience and not making the co-op to easy but with enough team work you should be able to get the job done. On a personal note, a big shout out to Insomniac Games for adding female characters into the game as we have seen before in the past with Sgt Sara Parker in Resistance 2. Overstrike 9 team will include Izzy Sinclair a hacker and intelligence broker who can revive players from a long distance. 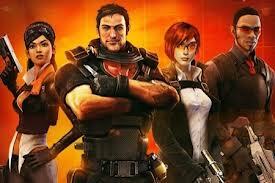 Fuse is set to release May 28th 2013 for PS3 and Xbox 360 and is a must have for Resistance fans.